After I purchased the premium kit I discovered your Ultra. I attempted to call but it went straight to a recording that told me to leave a message. I emailed asking to upgrade my order to ULTRA and a few minutes after the confirmation of pruchase I received a notice that the order shipped already (within 20 minutes of purchase)! Email me at [email protected] I will find a way to help you upgrade your kit. Hi, my little one is 6 months old and I do want to teach him basic sign language. How should I go about asking my daycare to assist me by doing the signs at day care? Otherwise, I am afraid if it is just me doing the signs for him, he won’t learn them, since I only see him for a brief while in the evenings. What do you think? Perhaps it would confuse him to have so many different ladies doing signs differently! Many daycares already use baby sign language but if yours does not I would encourage you to gift them with a chart so they can post on the wall. This will result in consistency across all users. Also stick to very few signs. These drawings are so cute! Because your brunette drawing looks a bit like me, I’d like to make some charts using your images for use in my third grade classroom. Just some basic words. If they look nice, may I share them will fellow teachers? Of course I would include a credit and a link to your website! I want to teach the students that learning sign language is achievable! As long as you are using the materials for non-profit efforts and you share a digital file with us you are good to go. 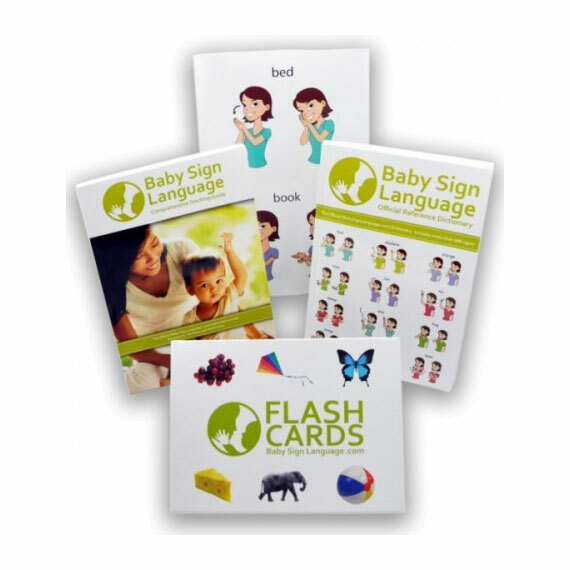 As long as you keep the attribution to http://www.babysignlanguage.com and use it for non-commercial uses you are totally welcome to print our resources. Are any of your materials available with Spanish text? Love your clip arts. I am wondering if you would consider adding black person or other races. We have large group of Hispanics and want to be more respectfully of these group, as well. If you look at the live photos that we use to represent each word you will note that we have incorporated people of all colors ethnicities and ages. As for our little doll she will remain as is. Because we encourage the use of our products for free in non-profit settings you are welcome to alter the color of the skin of each illustration. I love your clip art for the flash cards. I am a kindergarten teacher and I use sign language to teach high frequency words. I’m looking to teach a class to other kinder teachers. I am struggling with finding the right images/clip art to use. Any suggestions? You can use our images as long as you give us credit. This website was the best I found for baby signs, 5 years ago. Now with my second baby I’m again taking advantage of its great free resources and straight to the point videos. I talk about this website whenever I can. Thanks a lot! My son is 14 months old. He’ll be 15 months beginning February. He doesn’t know any sings yet, other than he occasionally waves bye bye, reaches for things he wants, and claps his hands when excited. I’m thinking about purchasing the premium kit, but before I do, I’m a little worried that Im starting him a little too late. For example, just as practice during breakfast today, I tried signing “more”, with him before bites, and every time I tried signing, he just screamed as if he was uninterested in what I was doing, until I actually gave him more. So is it too late to start, and if not, is it going to be harder to teach him at this stage, than it would have been if we started much earlier? The central goal of baby sign language is to equip your baby with an easier way to communicate ideas that he or she is not yet able to communicate verbally. While most parents start as early as six months there are still many reasons why it may make sense for you to incorporate signing as one of many communication tools for your baby. Signing is helpful to reinforce a word that a baby may not yet be able to vocalize with clarity. Signing helps our babies refine motor skills, finally, it is a way for us to engage our full body in the way we communicate equipping us to be more attentive and better and conveying and understanding emotions. I am attempting to order some of your products. On the page for wall chart, it states for limited time a $9.99 digital download is available for free. However, when I go to checkout, it does not show that I will be receiving the download. You will get your code for downloading volume 1 on your invoice. Do you ship to Canada and how long does shipping take to Vaughan, Ontario Canada? We do ship to Canada, it takes 10 to 15 days and we charge $19.95 shipping. My son is 10 months old today, I am wanting to teach him sign language. Do I teach him one sign at a time, or multiple? Like mom & dad at the same time, or teach just one as he picks it up introduce another. Also he has started showing interest in using the potty, he has pooped twice and pee’d four times today in his potty, do I need to start out with poop & pee sign language, as he isn’t saying more than four words right now. We have a quick start guide available online that gives you some tips on how to get started. We normally start with 3 to five relevant signs and use them consistently. Also our teaching guide which comes with the kits has advanced teaching methods that you can use based on your child’s personality and needs. I’m trying to teach my 2 year old brother sign language. At two your brother is getting ready to become verbal. Your best approach is going to be to teach him in the context of games, songs and through contextual repetition. Hi there, I would like to just make sure that you are proposing ASL (american sign language) because this is what we are learning at home. Thanks in advance for answering my question ! Yes our program is based off ASL with simplifications to be better aligned with the motor skills of babies. I would like for my baby to be able to watch the signing videos on the ipad. Is there a digital version that I can purchase or will I be able to rip the dvds to my computer? Sometimes certain dvd’s have copyright limitations that prevent you from copying them to your computer. There is no offline digital version. I am going to check if the DVDs can be ripped and will get back to you shortly. We are looking for the sign “close” or “shut”. Do you have this or could you describe how to make this sign? Thank you so much for your wonderful website. We’re teaching the whole family to sign to help our autistic 2 year old to start to communicate. This site is helping all of us to learn. The sign for close is done by placing both hands with palms flat looking toward the front and closing them as in closing a cupboard. This is a great site! One suggestion is that the volume/gain varies according to the different sets of video clips and I find myself having to adjust my volume to accommodate the variance. It would be great if all the videos played at the same volume level so the user doesn’t have to adjust the volume locally from clip to clip. Thanks for creating this valuable resource! Where can you send a video to get the “free kit” offer from a year ago? My daughter is 12 months old (almost 13) and can do so many thanks to your site. I sent an email a while ago and never got a reply. Thank you! Do you ship to New Zealand? If so, how much for shipping? We do ship to NZ. International shipping is a flat $20. The proper sign for “me” is to point at self using the index finger. Alternatively you can teach him to sign his name as he matures in motor skills and learning abilities. Hi! I wrote to you back in October when I was frustrated that my son still hadn’t started signing. I only got more frustrated when more months passed and he still wasn’t signing. He would sign “milk” very nicely, but not necessarily when he wanted it. I still haven’t figured out what he means by it. So he’s finally picking it up! Yay! I work for a school district and I need to order via purchase order. Do you accept POs and if so how do I place an order using a PO? We are happy to fulfill POs. Just send your PO to [email protected]. If you need us to generate an invoice first or do any paperwork, just send your order details to us via email and our office is happy to handle the details. Hi! I have a 9 month old baby who we are teaching how to sign. My question is this… I don’t have a left hand. I only have my right. When signing to her, will she be confused? Should I not sign to her and let only daddy sign? Thank you! If your baby is not going to be using sign language as their main means of communication consider modifying the signs for single hand signing doing the motion described for the dominant hand on the flash card, and have daddy be consistent by using the modified sign. Hi I was just wondering how long it takes for the package to be delivered I just placed the order for the standard sign language kit and I never got a time frame thank you. I live in Ontario Canada. Delivery to Canada is usually around 2 weeks. Do you find that autistic children benefit from this as well as working on actual verbal skills. Not too much imput? My daughter is 3yrs old and we do sign a bit already. We have a lot of children with learning disabilities using baby sign language. Speech pathologists often suggest it as a way for autistic children to start communicating and developing that part of the brain, particularly when speaking is difficult for them. Signing seems to prime the brain for language development and is a bridge to talking for many children. Hi, I was just wondering do deliver your signing packs to the uk? We do indeed deliver to the United Kingdom. We ship worldwide. Outside the US, shipping is a flat $20. My son is now 13 months old, but he was premature, so from a developmental standpoint he’s the equivalent of 11 months old. He’s developing beautifully and normally. I’ve been signing to him for close to 4 months, and he still hasn’t started signing back. I’m starting to wonder if he ever will. Does this make sense? Do some kids take this long to start signing? There is nothing unusual about not signing at 11 months. Each baby’s language window opens at a different time. Stick with it, I am sure signing is right around the corner. I am very happy to have found your website it has been very illustrative. I am just starting to use sign language for my little one he is almost nine months old. Is there such thing as a universal baby sign language? I was wondering if you have an App for cell phones? Baby Sign Language is generally universal. Our program is used worldwide. We base our signs on American Sign Language and since parent and baby learn together it is possible to use it regardless of your native language. Yes, the best approach for Godfather & Godmother is to combine the sign for God with the sign for mother. I came across your website and found it fascinating. Baby Sign Language, as we teach it, uses American Sign Language (ASL). TSL or Thai Sign Language is related to American Sign Language and there are many signs that are the same. If your language therapist finds it appropriate you can certainly take advantage of our resources. The kit you select should be based on how your baby learns. If you put your kit of choice in the shopping cart you will be able to get a shipping quote by clicking on the blue calculate shipment button. There is no need to purchase at the time, you can decide to back up the transaction if the shipping costs are not aligned with your budget. In the interim I encourage you to take advantage of our free online resources. Our son has Down Syndrome, and we have been working with a speech therapist to teach him Baby signs. I can not tell you how much I appreciate your website! Thank you. It’s so easy to use and follow the signs. Thank you so much for this fabulous and easy to use website! You have made it so easy to access sign language. I would love to see your database grow. Words that I looked for and could not find are “meet” and “which”. These are commonly used signs and would be wonderful additions to your dictionary. Thank you again! Hi, I am from Malaysia. I have a nursery centre. 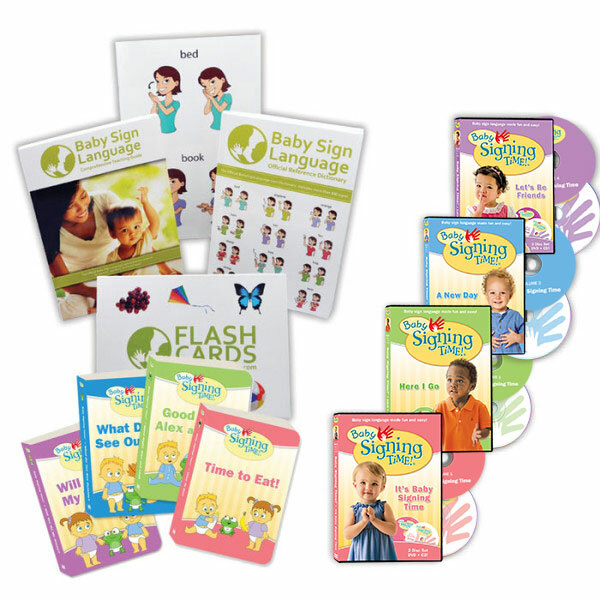 I am really interested in introducing your baby sign language (premium set) to all the babies. Is it possible to deliver your product to Malaysia? If you do deliver, how much would the cost be? We deliver globally via post. 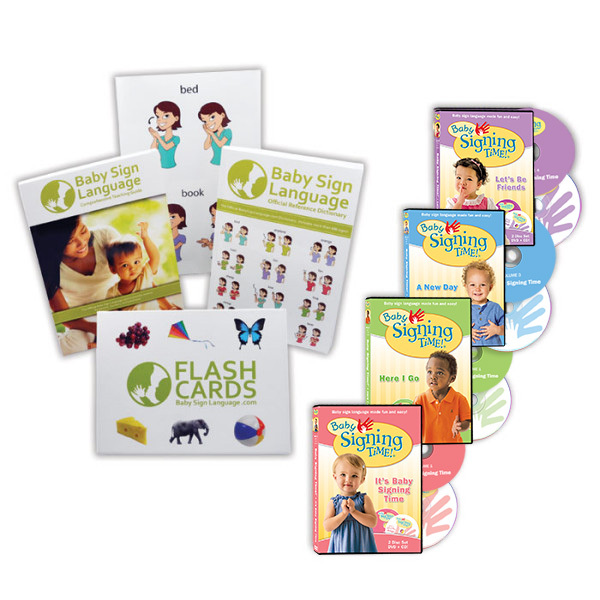 If you place the item in the cart you will see the option to price for international shipping of the baby sign language kit. Is it ok for childcare learning centers to use this program or in the classroom or is there another way they would have to go about getting this program or a program like this? I am a college student working on my business plan to start up a new childcare center and I would love to include this in my plan if it is legal to do so. So congratulations! It is really professional! By the way, i could not find the donkey sign today. Thanks for the fabulous online dictionary and great flash cards. We’ve been using your website for months and got the kit recently and are really are enjoying it. While my 8 month old can’t yet sign back, she does understand several signs and I’m sure it won’t be long now. Which brings me to – do you have signs for belly/stomach/tummy? What about gas/fart? I know they aren’t the most elegant terms, but as we’ve been introducing solid foods, my poor little girl is having a lot of stomach discomfort and I’d like to teach her a way to communicate about that, and for me to ask “does your tummy hurt?” or “do you have gas”. Also, can you recommend a good sign for the baby to refer to herself or for us to refer to her? I call myself “mommy” and we make the sign for that, and my husband says “daddy” and we make that sign. For baby, we’ve done that some, but as her name is Sonya, I’d love to have a sign for Sonya. I’ve called her “baby Sonya” and done the sign for baby with my dominant hand shaped into the sign for the letter S, but I’m wondering if there’s a different way/method that I should use. The concept of “stomach” can be expressed by simply patting your stomach twice. Or use fingertips of a “bent-B” hand to poke it twice. As for hurt this is the baby sign to convey pain. The non-dominant hand (my left hand) is an “A” or an “S” handshape. (You’ll see it either way).